I love these little circle tree dangle earrings. They are simple and very lightweight. 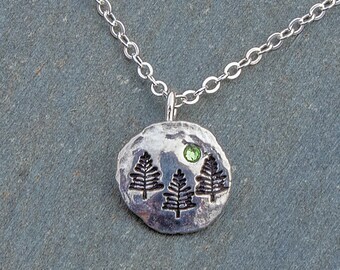 I have hand formed them myself from tiny pieces of silver; soldered, hammered, stamped, textured, tumbled and polished. The process of building them in this way allows me to control the thickness of the silver, adding a little more weight to each piece. I solder 20 gauge earwires onto the back. 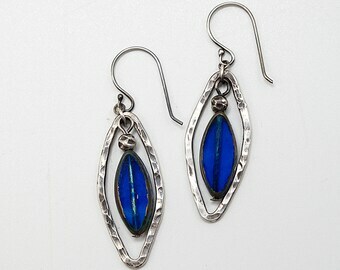 I added a tiny 1.8mm crystal rhinestone to each earring for a pop of color. 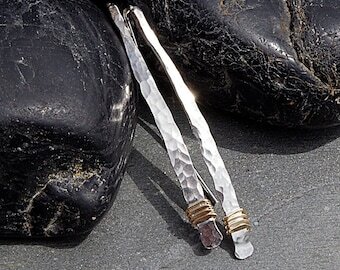 You may choose your crystal color-write your color choice in the note section upon checkout. 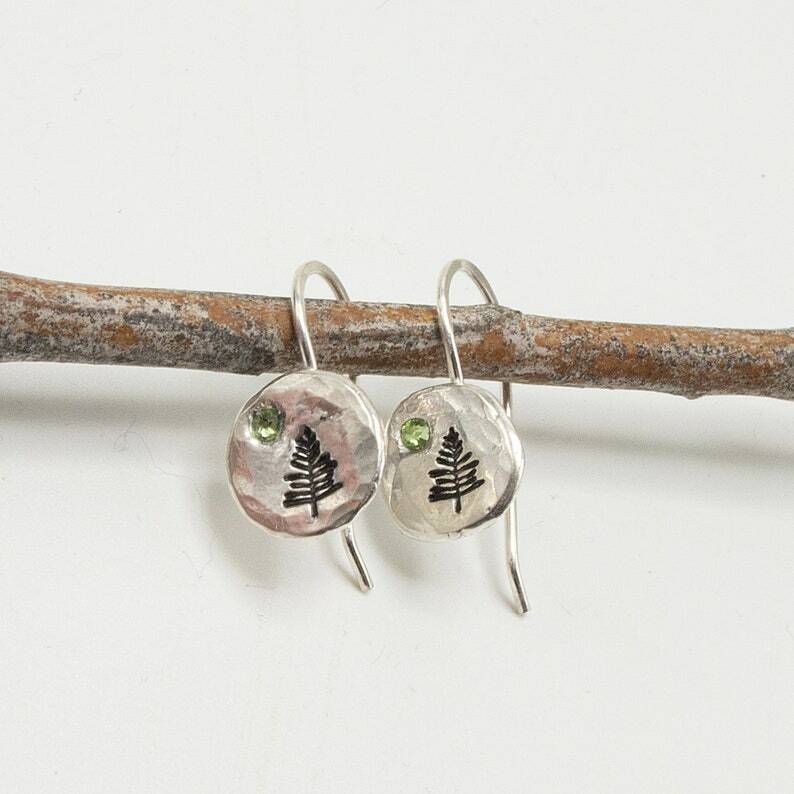 The color on the earrings in the photos is August peridot/bright green. 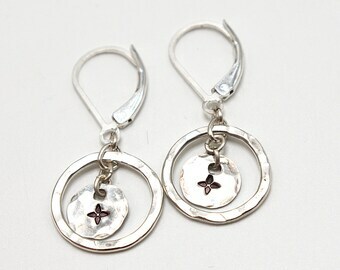 Each silver circle is approximately 3/8" (10mm) in diameter, they are very small circles. 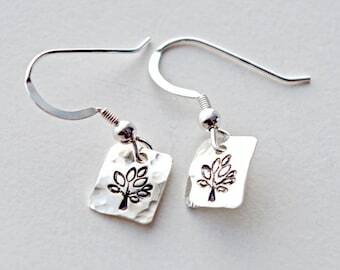 These are completely handmade from sterling silver argentium, from start to finish. 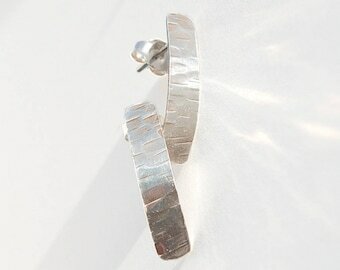 These earrings are made of argentium sterling silver and have a slight thickness to them. Each pair are made to order and may vary slightly from the photos. 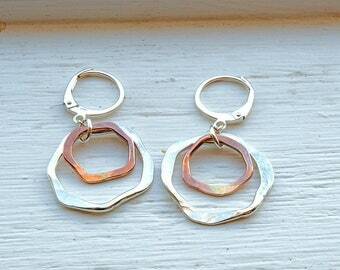 These earrings will arrive in a kraft brown box with a pretty ribbon.